The Doggie Dooley Pet Waste Disposal System works like a miniature septic tank, utilizing tural bacteria and enzyme cultures to reduce dog waste to a ground absorbing liquid. Simply shovel stools into the system; occasio lly add water and the Digester . Neat, clean, convenient way to dispose of pet waste. 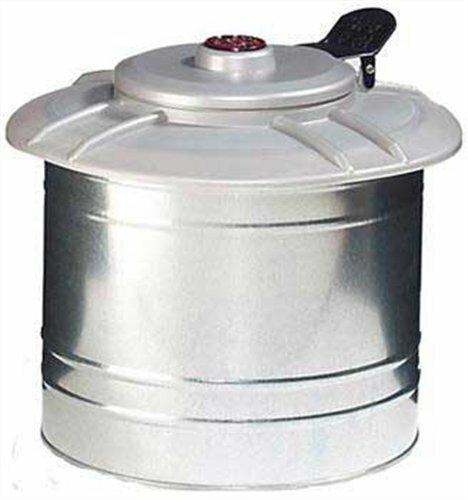 The Model 3000 Doggie Dooley features a galvanized steel tank and has a foot operated lid opener. The Digester is a non-toxic, harmless mixture designed especially for pet waste. The Digester is a non-toxic, harmless mixture designed especially for pet waste. The systems are harmless to pets, lawns, and shrubs. The Doggie Dooley is an excellent way to dispose of pet waste safely and control odors. Works well in all soil conditions except hard clay and heavy sand.